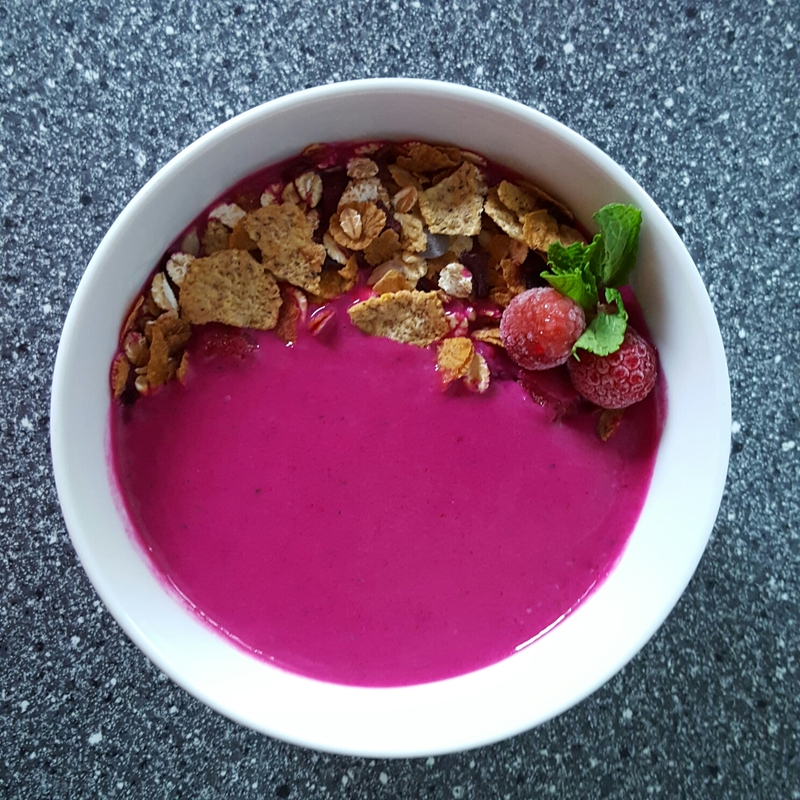 Rödbeta smoothie – Eat, Click, Travel and Repeat! Rödbeta is ‘beetroot’ in Swedish. I have three (Beetroot smoothie, Beetroot shoot smoothie, and Grand smoothie) smoothie recipes on the blog which already have beetroot or parts of it in them. Beetroot was not my favorite since childhood. Frankly, no one I know is fond of beetroot recipes. But, I have trained myself to eat these nutritious roots in the form of smoothies, and they genuinely taste great. Here is an article describing the health benefits of beetroot. Beetroot has very low fat contents but is packed with minerals, vitamins and anti-oxidants. I wish someone uses this recipe and confirms that this genuinely taste good. So, as you have guessed by now, beetroot is the prime ingredient. Besides a boiled and peeled beetroot, other ingredients used are 1 banana, 1 glass of milk, 1 inch ginger and a few mint leaves. I have added a teaspoon of sugar too (avoid it if possible). Blend all these ingredients to get a delicious rödbeta smoothie. I have always been pouring out smoothies in a glass, but smoothie can also be eaten in a bowl with a variety of toppings. I have decorated this smoothie with muesli and frozen hallon i.e. red raspberry in Swedish. This picture shows the final product of this awesome smoothie. Follow me @foodieismoody on Instagram for other such interesting food pictures and updates. I also take loads of nature photos on my other Instagram handle @prajaktas17. Hope to meet some of you on these social media accounts as well.